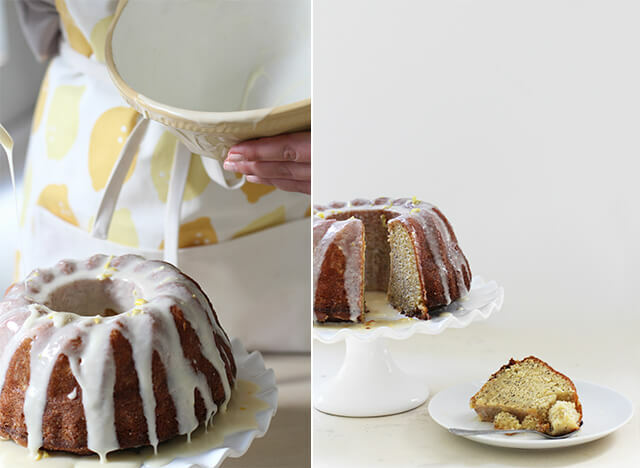 Us Zana girls have had a bout of ‘Lemon Fever’, making it the perfect time to slap on our lemon apron and make the most delish lemon poppy seed Bundt cake you will ever taste. (No seriously. It’s GOOD). 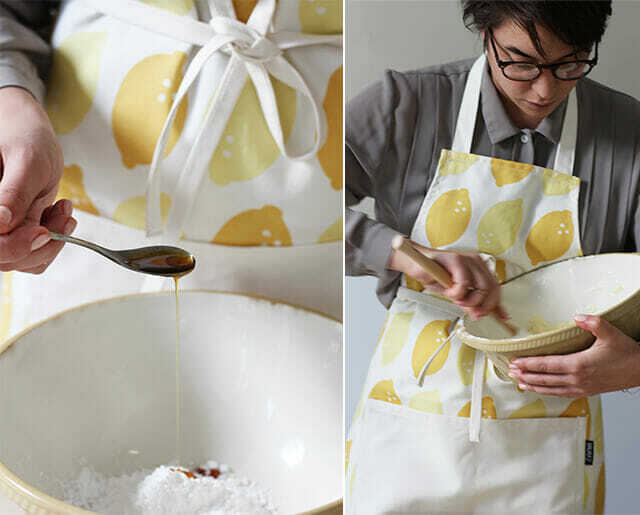 See the recipe below or shop our gorgeous lemon apron in ZAR here or in USD here. Preheat the oven to 180°C. Butter and flour a large Bundt cake tin. Using a mixer, cream the butter and sugar together at medium speed until light and fluffy (about 3 minutes). Beat in the oil, lemon zest, lemon juice, poppy seeds and vanilla extract. On the lowest speed, beat in the eggs, one by one, until just mixed. Fold in the flour mixture in three batches until just combined. In a separate bowl, whip the cream just past the soft peak stage and stir in about ¼ of it into the batter. Once combined fold in the remaining whipped cream and pour the batter into the prepared Bundt pan. Drop the pan from about 10cm above the counter to knock out any bubbles. Bake on the middle oven rack for approximately 60 – 75 minutes, or until a testing pin comes out clean. Allow the cake to cool for 10 minutes before loosening is and inverting the cake onto a serving platter. Stir together the icing sugar and lemon juice to make the lemon glaze and brush on the hot cake until all of the glaze is absorbed. In a bowl, whisk together the icing sugar, vanilla extract, lemon zest and cream cheese, adjusting the cream cheese or icing sugar amount to make the icing fairly thick but pourable. Only once the cake is completely cool should you pour the icing over. Drizzle the icing over the top of the Bundt cake, top with freshly grated lemon zest and serve.